Spitfire is a cinematic, epic, sweeping tale of determination, vision and courage. It is the story of an aircraft that was forged in competition, shaped as the war clouds gathered and refined in the white heat of combat - going on to become the most famous fighter craft ever made. 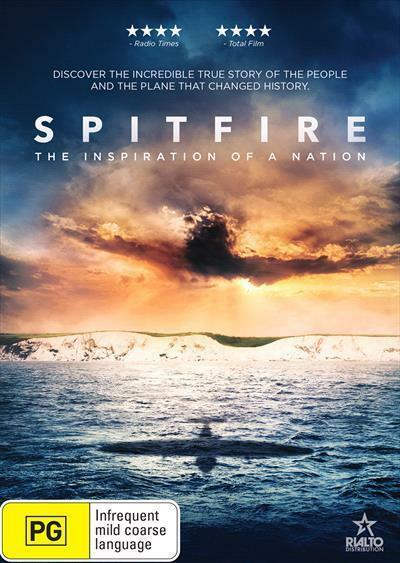 Credited with changing the course of world history, this is the story of the Spitfire - told personally in the words of the last-surviving combat veterans including Allan Scott, Geoffrey Wellum, Joan Fanshawe, Joy Lofthouse, Ken Wilkinson, Mary Ellis, Nigel Rose, Paul Farnes, Tom ‘Ginger' Neil and Tony Pickering. Directed by David Fairhead and Ant Palmer, Spitfire is an Elliptical Wing Production presented by British Film Company, with Haviland Digital and Mark Stewart Productions. It is produced by Gareth Dodds, Christian Eisenbeiss, Mark Stewart and Pat Mills.